Lansing Bankruptcy Attorney | Foster & Harmon P.C. If you are in debt and considering filing for Chapter 7 bankruptcy or Chapter 13 bankruptcy in Lansing, MI or the greater Lansing, Michigan area we can help you determine whether your situation warrants filing bankruptcy in order to avoid foreclosure or protect your income. A Lansing Michigan bankruptcy attorney at Foster & Harmon PC in East Lansing, MI understands that sometimes bankruptcy becomes the only viable option for the individual and family. We can help you get a fresh start. Lansing Bankruptcy Law Attorney Richard Foster, recognizes that confidentiality and efficient service are of paramount importance. 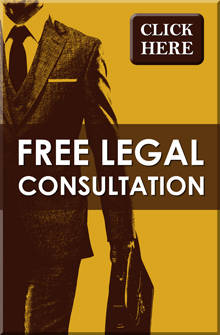 Attorney Foster assures you that your matter is attended to quickly and remains your business alone. Lansing Michigan Bankruptcy Attorney Foster also realizes that this is a serious decision and wants to provide you with all the information you need to feel confident, both in your decisions and in the firm, Foster & Harmon P.C. Chapter 13 can save your home from foreclosure if you are behind on payments or owe unpaid property taxes! A chapter 13 filing will stop the foreclosure and give you the right to repay the arrearage through a Court supervised repayment plan. Do not wait to consult with a bankruptcy attorney. The changes made by BAPCPA (the bankruptcy reform laws) make it necessary that you seek legal advice well in advance of the sale date to plan the case. You must also obtain a credit counseling certificate before filing any bankruptcy case. Call to arrange a confidential appointment today at (517) 337-4600! Since Bankruptcy Attorney Richard Foster and the law firm of Foster & Harmon P.C. have always focused on Lansing and cities throughout Michigan, you will benefit not only from their bankruptcy law experience and knowledge, but additionally from their familiarity with Lansing and Michigan bankruptcy procedures, bankruptcy trustees, and bankruptcy judges. Attorney Foster specializes in Chapter 7 (straight liquidation) and Chapter 13 bankruptcy (debt consolidation) cases. The purpose of chapter 7 is to discharge debts and give the debtor a "fresh start." The discharge extinguishes the debtor's personal liability on debts. A discharge is available to individuals, not partnerships or corporations. Although most individual chapter 7 cases result in a discharge of all debts, some types of debts are not discharged, and a discharge does not extinguish liens on property. In rare cases a chapter 7 may be dismissed as an abusive filing if the court finds an individual has the ability to pay a meaningful dividend to unsecured creditors in a chapter 13 case. Filing a petition "automatically stays" most creditor actions against the debtor and the debtor's property. This stay arises by operation of law and requires no judicial action. While the stay is in effect, creditors cannot initiate or continue lawsuits, repossessions, or wage garnishments. One schedule filed by individual debtors lists "exempt" property. Federal bankruptcy law provides that an individual [vs. business] debtor can protect certain assets from creditor claims because this property is exempt under federal bankruptcy law or the laws of the debtor's state. Married couples may only claim one set of exemptions. A bankruptcy trustee is appointed when the case is filed. The trustee's duties are to examine and verify the accuracy of the debtor's bankruptcy papers and to identify assets which are not exempt. The trustee sells the non-exempt assets which have value and distributes the net proceeds to the creditors. If an asset has a loan against it, the debtor can keep the asset if the equity is exempt. A "meeting of creditors" is held about 30 days after the petition is filed. The debtor must attend the meeting, and if a husband and wife filed jointly, both must attend. You must bring a government issued picture I.D. and your social security card to the meeting. Creditors may appear and ask questions regarding the debtor's financial affairs and property, but creditors rarely attend. The trustee conducts the meeting, and the debtor must cooperate and provide the records the trustee requests. Otherwise, the debtor could be denied a discharge. The case trustee is appointed to administer the case and liquidate the debtor's non-exempt assets. In the most cases, all of the debtor's assets are exempt or subject to valid liens, so a trustee usually has no assets to sell. These are called "no asset" cases. If the debtor has non-exempt assets or if the trustee later recovers assets to liquidate for distribution to unsecured creditors, the creditors are given an opportunity to file a form stating the basis of their claim against the debtor or the debtor's assets. The filing of a bankruptcy petition creates an "estate," and the trustee becomes the temporary legal owner of the debtor's property. The estate consists of the entire debtor's legal or equitable interest in property, including property owned or held by another person. The estate includes tangible and intangible assets, such as insurance claims or lawsuits for damages. The trustee can sell non-exempt property as well as property with a market value in excess of the sum of any security interest or lien and the allowed exemption the debtor holds in the property. Objections to debtor's exemption claims must be filed within 30 days of the date a creditors meeting is completed. Once a discharge is granted, the trustee, a creditor, or the U.S. Trustee may later file a complaint to revoke a chapter 7 discharge if they can prove: a) the discharge was obtained through the fraud of the debtor; or b) the debtor acquired property that is property of the estate and knowingly and fraudulently failed to report the acquisition of such property or to surrender the property to the trustee. Generally, this complaint must be filed within a year after the discharge was granted. Chapter 13 is available to individuals with regular income from any source, not just wages. A sole proprietor is also eligible for chapter 13 relief. The goal is for individuals to reorganize pay creditors though a plan requiring monthly payments for a minimum of three years and no more than five years. An individual, even if self-employed in an unincorporated business, is eligible for chapter 13 relief as long as the individual's unsecured debts are less than $269, $250 and secured debts are less than $807, $750. Corporations and partnerships may not file chapter 13. A chapter 13 bankruptcy begins with a petition filed at the bankruptcy court where the debtor has a domicile or residence. The debtor also files schedules of assets and liabilities, a schedule of current income and expenditures, and a statement of financial affairs. A husband and wife may file a joint petition or file individually. Joint petitioners pay only one filing fee. If only one spouse files, the income and expenses of the non-filing spouse must be included in the debtor's schedules. The filing of the petition under chapter 13 "automatically stays" most actions against the debtor or the debtor's property. As long as the "stay" is in effect, creditors generally cannot initiate or continue any foreclosure, lawsuit, repossession, or wage garnishment. Chapter 13 also provides a "co-debtor" stay which stops a creditor from trying to collect a "consumer debt" from another individual who is liable with the debtor on the debt. A consumer debt is an obligation incurred for consumer, as opposed to business, needs. A debtor facing foreclosure can stop the foreclosure sale by filing chapter 13. The chapter 13 plan permits the debtor to cure defaults on mortgage debts by repaying the arrears within a reasonable period of time (usually within 36 months). If the mortgage becomes all due during the chapter 13, the plan must pay off that entire debt by the due date. Upon the filing the petition, a trustee is appointed to administer the case. The chapter 13 trustee's role is to collect plan payments from debtors and make distributions to creditors according to the debtor's plan. The debtor must file a plan within fifteen days of the petition, unless extended by the court, and the debtor must begin making plan payments to the trustee within 30 days of the petition date. The plan provides for monthly payments of a fixed amount to the trustee and must ultimately be confirmed by the court. Upon confirmation, the trustee begins distributing funds to creditors according to the terms of the plan. A plan can offer unsecured creditors less than full payment of their claims. Automobile loans can be modified so a debtor pays the lender only the value of the car as of the date of the petition. The under secured portion of the debt is treated like all other unsecured debts in the plan. 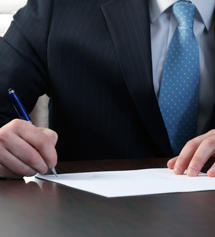 A meeting of creditors is held in every case, and the debtor is examined under oath. The meeting is held about 30 days after the petition is filed. The trustee conducts the meeting and questions the debtor's financial affairs and the proposed terms of the plan. You must bring a government issued picture I.D. and your social security card to the meeting. Creditors may attend and ask questions. Debtors must attend, and if a husband and wife filed jointly, they must both be present. Problems with the plan are typically resolved during or shortly after the creditors' meeting. If there are no plan objections, a confirmation order is submitted at the creditors meeting. If the trustee or a creditor objects to confirmation of the plan, a hearing is scheduled before the court. The bankruptcy judge will determine whether the plan is feasible and meets the legal requirements for confirmation. A variety of objections may be made, but the most frequent objections are: the total plan payments are less than creditors would receive if the debtor's assets were liquidated; or the debtor's plan does not commit all of the debtor's projected net disposable income for the minimum three-year period. The debtor must commit all projected "disposable income" during the time the plan is in effect. Disposable income is defined as income not reasonably necessary for the maintenance or support of the debtor or dependents. If the debtor operates a business, disposable income excludes those sums necessary to pay ordinary operating expenses. If the plan is confirmed by the bankruptcy judge, the chapter 13 trustee begins distributing the funds received according to the plan. If the plan is not confirmed, the debtor may attempt to amend the plan. The debtor also has a right to convert the case to a chapter 7 at any time. On occasion, changed circumstances will affect a debtor's ability to make plan payments, or a debtor may have inadvertently omitted a creditor. In such instances, the plan may be modified either before or after confirmation. Modification after confirmation is not limited to a motion by the debtor. Modifications may be at the request of the trustee or an unsecured creditor. The provisions of a confirmed plan are binding on the debtor and each creditor. Once the court confirms the plan, it is the responsibility of the debtor to make the plan succeed. Chapter 13 bankruptcy is not designed to solve financial problems that arise after the case is filed. The debtor must make regular payments to the trustee, which will require living on a fixed budget for a long period. The debtor's employer may be required to withhold the amount of the plan payment from the debtor's paycheck and send it to the chapter 13 trustee. Furthermore, while confirmation of the plan entitles the debtor to retain property, the debtor may not incur any significant new debt without consulting the trustee, if such obligations have an impact upon the execution of the plan. Failure to make plan payments may result in dismissal of the case. The chapter 13 debtor is entitled to a discharge upon successful completion of all payments. The discharge releases the debtor from all claims provided for in the plan or disallowed by the court. It is the creditor's duty to file a claim in the case. Those creditors, who were provided for in full or in part under the chapter 13 plan, even if not paid because they failed to file a claim, may not initiate or continue legal action to collect the discharged obligations. In return for adhering to the requirements of a repayment plan for three to five years, the debtor receives a broader discharge under chapter 13 than in a chapter 7 case. Generally, the debtor is discharged from all debts provided for by the plan or disallowed, except certain long term obligations (such as a home mortgage), debts for alimony or child support, debts for most student loans, debts arising from death or personal injury caused by driving while intoxicated or under the influence of drugs, and debts for restitution or a criminal fine. To the extent that these types of debts are not fully paid pursuant to the chapter 13 plan, the debtor will still be responsible for these debts after the chapter 13 case has successfully concluded. Lansing bankruptcy attorneys at Foster & Harmon P.C. have handled hundreds of bankruptcy filings in Michigan and our professional bankruptcy attorneys can help you get a fresh start! Call or contact us today to discuss your bankruptcy situation at (517) 337-4600.